Just as humans get older and start to "feel the pain", dogs feel it too. As time goes on you may start to notice your dog is slower to get up, lifting the paws and holding them, or a bit slower to run and get a toy. This liquid Glucosamine is meant to help support your dog as they age and give them a bit more "pep" in their step. We love our dogs, and always want them to be around with us as long as possible. 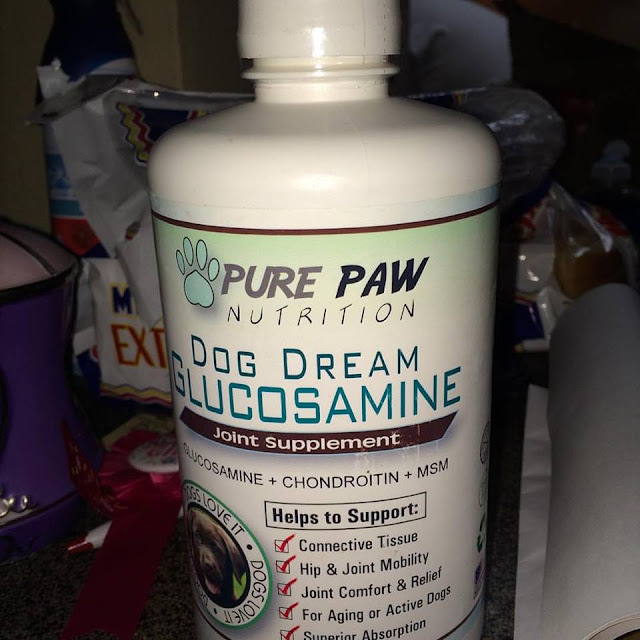 So taking a natural supplement is always a good step to help your pup. The bottle I received was rather large and will help for weeks and weeks keep a puppy dog healthy!